“These are the highest stakes that the Avengers have ever faced.” Watch this behind-the-scenes look with the cast of Marvel Studio’s Avengers: Endgame. 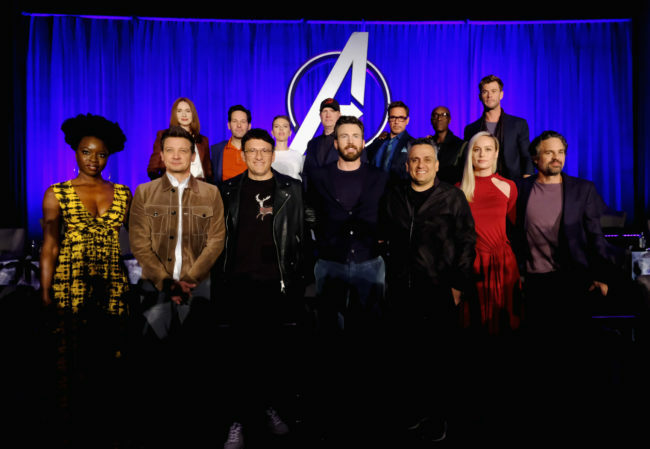 LOS ANGELES, CA – APRIL 07: (front L-R) Danai Gurira, Jeremy Renner, Director Anthony Russo, Chris Evans, Director Joe Russo, Brie Larson and Mark Ruffalo, (back L-R) Karen Gillan, Paul Rudd, Scarlett Johansson, President of Marvel Studios/Producer Kevin Feige, Robert Downey Jr., Don Cheadle and Chris Hemsworth onstage during Marvel Studios’ “Avengers: Endgame” Global Junket Press Conference at the InterContinental Los Angeles Downtown on April 7, 2019 in Los Angeles, California. 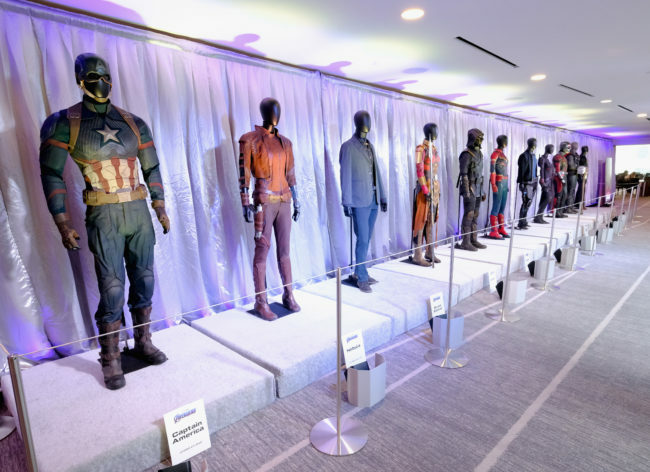 LOS ANGELES, CA – APRIL 07: A view of the atmosphere at Marvel Studios’ “Avengers: Endgame” Global Junket Press Conference at the InterContinental Los Angeles Downtown on April 7, 2019 in Los Angeles, California. 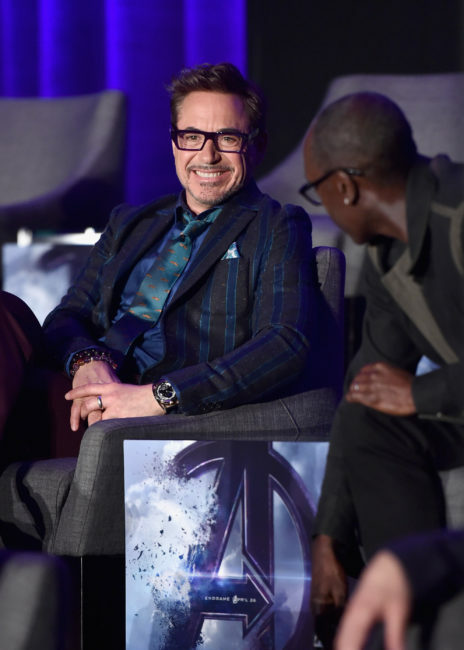 LOS ANGELES, CA – APRIL 07: Robert Downey Jr. (L) and Don Cheadle speak onstage during Marvel Studios’ “Avengers: Endgame” Global Junket Press Conference at the InterContinental Los Angeles Downtown on April 7, 2019 in Los Angeles, California. LOS ANGELES, CA – APRIL 07: Scarlett Johansson speaks onstage during Marvel Studios’ “Avengers: Endgame” Global Junket Press Conference at the InterContinental Los Angeles Downtown on April 7, 2019 in Los Angeles, California. 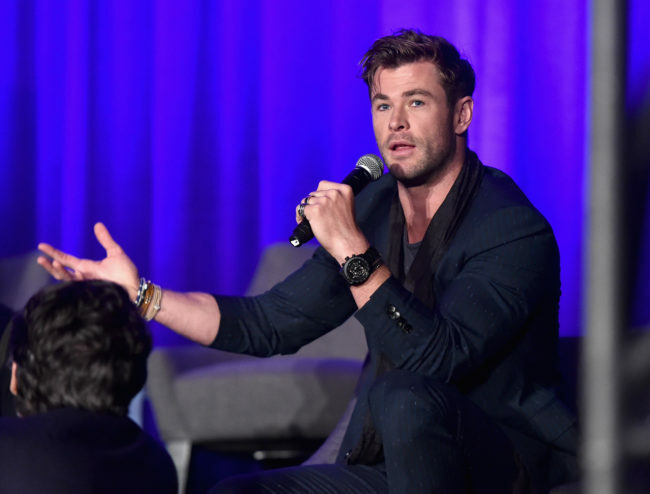 LOS ANGELES, CA – APRIL 07: Chris Hemsworth speaks onstage during Marvel Studios’ “Avengers: Endgame” Global Junket Press Conference at the InterContinental Los Angeles Downtown on April 7, 2019 in Los Angeles, California. LOS ANGELES, CA – APRIL 07: Brie Larson and Robert Downey Jr. speak onstage during Marvel Studios’ “Avengers: Endgame” Global Junket Press Conference at the InterContinental Los Angeles Downtown on April 7, 2019 in Los Angeles, California.